Bentley dealers in the U.S. are selling down their demonstration fleets to make way for the Bentayga, which is due in August. 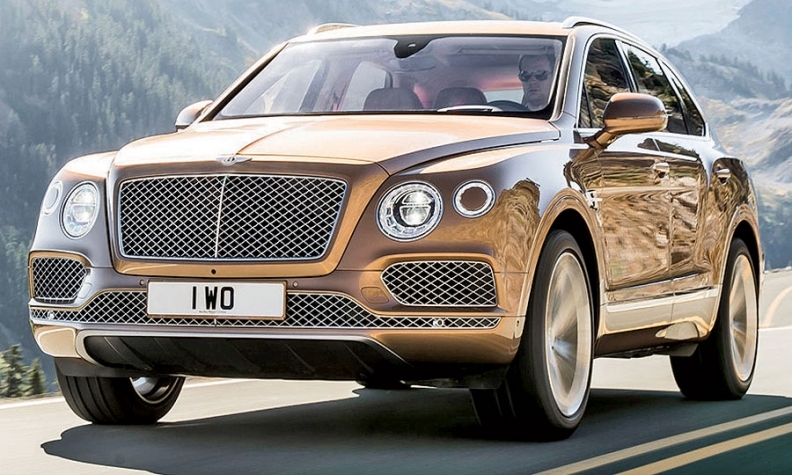 Dealers are selling down their demo fleets to make way for the Bentley Bentayga, due in August. It's a figure that would make any auto marketer woozy. Through May, Bentley's sales in the U.S. collapsed 53 percent, to 484 vehicles. But Bentley's CEO for the Americas, Michael Winkler, isn't concerned. There a good reason for the drop and the decline is about to end, he said. Winkler said he is responsible for sales decline, which dates to the beginning of the year. It was then that Winkler told his 43 dealers that they should begin selling down their demonstration fleets. When dealers began rolling a number of well-maintained, low-mileage demo cars into the mix, it reduced new model sales. "Mathematically, it was very simple," Winkler told Automotive News Europe sister publication Automotive News. This sell-down was aimed at freeing space in showrooms for Bentley's all-new Bentayga crossover, which will arrive in August. That vehicle already has about a year's worth of orders in the U.S. alone, Winkler said. This means that by the end of the year, Bentley is expecting its sales figures to have rebounded to a net gain. Bentley hopes the sales momentum won't stop there. Several derivatives of the top-end Mulsanne sedan and the Bentayga are planned, and a decision on an entry-level sports coupe is expected soon.